José Orlando Padrón photographed in his Miami headquarters just before his 90th birthday. 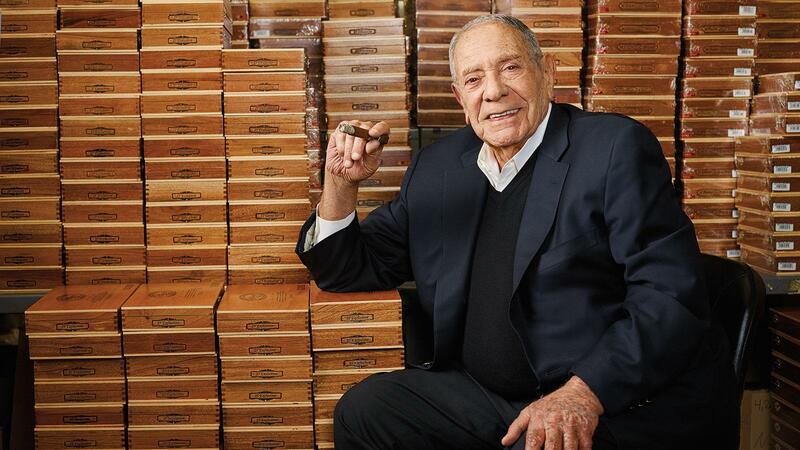 José Orlando Padrón, the founder of the Padrón Cigar brand, died early this morning. 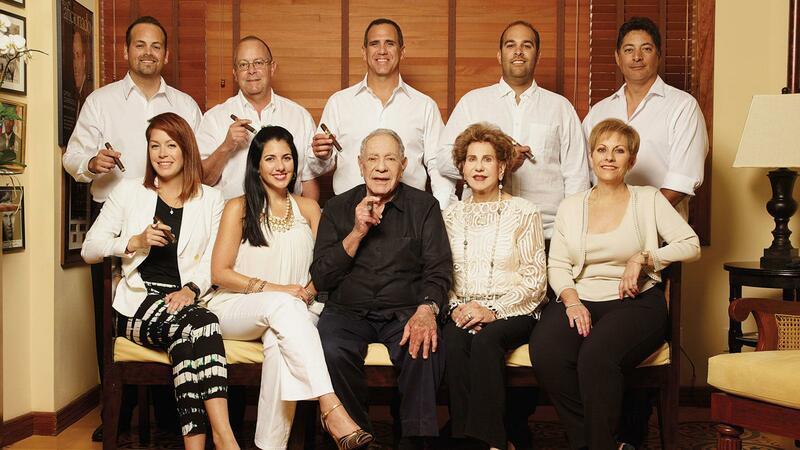 The legendary cigarmaker, who had run Padrón Cigars Inc. for 53 years, was surrounded by his family. He was 91 years old. “He died peacefully, he didn’t suffer,” said his son Jorge, who has worked alongside his father since he was a young man. Padrón left Cuba in 1961 and after some time in Spain came to the United States later that same year. After trying various forms of work, in March 1964 he rented a tiny storefront on West Flagler Street in Miami and applied for the permits to start a cigar factory. On September 8, 1964, Padrón Cigars was open for business. He had one cigar roller. Those early smokes were quite modest, and Padrón sold his wares for 25 cents apiece, targeting the many cafeterias in Miami where Cuban expatriates like him smoked a cigar (or a few) after a meal. Sales began to increase when he introduced a fuma, a longer, more rustic cigar made with an extended pigtail tip. In 1967, Padrón imported his first crop of Nicaraguan tobacco, a move that would change his company forever. “In 1968, that's the first year I started using Nicaraguan tobacco in my cigars,” Padrón said in 2014. “I went from 479,000 cigars to more than 800,000 cigars a year.” He was so enamored with Nicaraguan tobacco that he opened a cigar factory in Nicaragua in 1970. Padrón in 2014, surrounded by family. Seated, from left: Jessica Padrón, Lisette Padrón, José Orlando Padrón, Flory Padrón and Elizabeth Padrón. Standing, from left: Jeff Padrón, Orlando Padrón, Jorge Padrón, Marcos Soto Padrón and Rodolfo Padrón. Padrón Cigars evolved over time, changing from a small company that made inexpensive smokes for the local Miami market to a storied producer of cigars whose wares were smoked around the world. Premium line extensions began with the 1964 Anniversary Series in 1994, then the Serie 1926, named for Padrón’s birth year, and later the Padrón Family Reserve. No other cigar company has received as many accolades from Cigar Aficionado as Padrón. The company has had 90-point score after 90-point score, and Padrón cigars have been named Cigar Aficionado’s Cigar of the Year a record three times. In 2012, José Orlando Padrón was inducted into the Cigar Aficionado Hall of Fame. He did more than just make cigars. In the 1970s Padrón traveled to Cuba, at one point meeting face-to-face with then Cuban leader Fidel Castro to negotiate the release of many political prisoners. The trips were successful, resulting in the freedom of many prisoners, but resulted in complaints, protests and even attacks on his headquarters back in Miami. He felt the results were worth the trouble. “He was so much more than just a cigar guy,” said Jorge. On the occasion of his company’s 50th anniversary in 2014, Cigar Aficionado asked Padrón how he would like to be remembered during a meeting in his company headquarters in Miami. Padrón is survived by his wife, Flory; children Elizabeth, Orlando, Jorge and Lisette; grandchildren Marcos and Melissa, Jessica, Jeffrey, Daniel, David, Jorge Luis, Daniella Miranda, Andres, Alfonso and Natalia; and great-grandchildren Ricco and Stella Soto. A celebration of Padrón’s life will be held on Friday, December 8, from 6 to 10 p.m. at the Biltmore Hotel, 1200 Anastasia Ave. in Coral Gables, Florida. A memorial service will be held at 2 p.m., Saturday, December 9, at St. Patrick Catholic Church at 3716 Garden Ave. on Miami Beach, with burial to immediately follow at Caballero Rivero Woodlawn Park North Cemetery at 3260 SW 8th Street, Miami.